Properly aligned wheels gives you the benefits of fuel savings, increased tire life, optimal tire performance and reduced maintenance costs. Unlike getting your oil changed, there’s no hard and fast rule regarding how often to get your wheel alignment checked. The truth is, it often depends a lot on how much wear and tear your car’s suspension is getting — getting bumped and jostled around on potholed roads will throw the alignment out of whack much faster than normal. Even the minor stress of everyday driving will add up over time and affect the alignment of your vehicles suspension more than you might think. So, how often do you need a wheel alignment service, and how do you know when it’s time? Keep your ride in great condition by paying attention to some signs that indicate its time to get things. Sign #1: Does your car drift slightly to one side if you take your hands off the wheel? Do you have to hold the steering wheel a little off-center in order to keep driving straight ahead? These two clues are two of the most obvious ways one can discern if an alignment is needed. Sign #2: Are your tires wearing out too quickly? 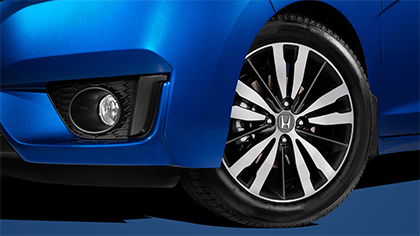 If your car’s wheels aren’t aligned right, it will often show up in uneven tire wear. One side of the tire tread will be much more worn down than the other. This can also happen if your tires aren’t inflated to the right pressure — so if you check the tire pressure and it’s still normal, it’s time for an alignment service. Sign #3: Did you just buy new tires? It’s a good idea to get your alignment checked when you replace the tires, to avoid excessive tire wear right from the start and make sure your new tires last as long as possible.